Grand Funk Railroad has been a staple in rock music for the past four decades. Formed in 1969 by songwriter and musician Don Brewer, the band is still going strong playing to packed houses all over the world. 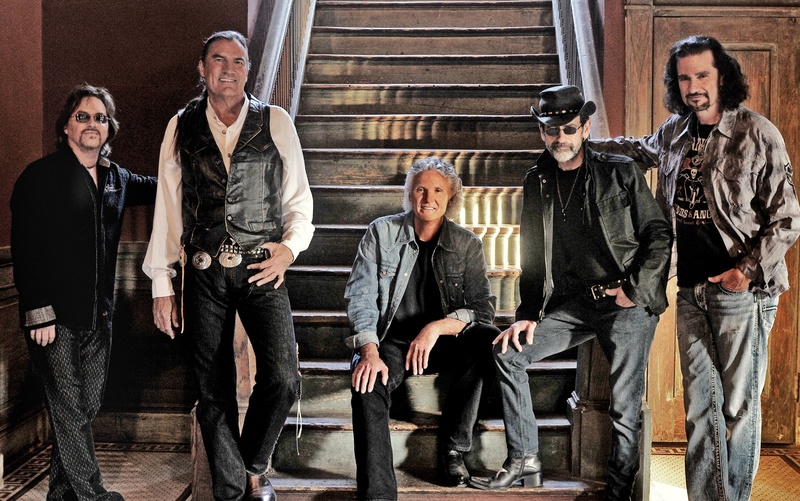 Grand Funk Railroad is known for its crowd pleasing, “honest” rock and roll. 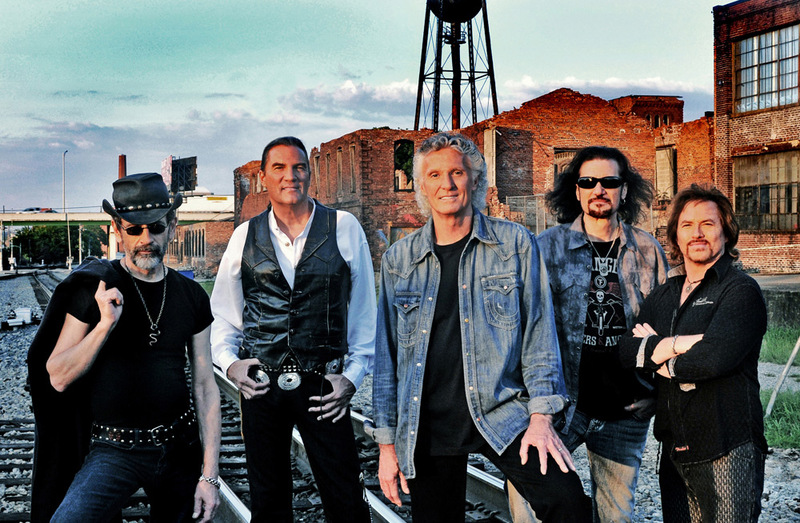 Pillow Talking caught up with founding member, Don Brewer, to discuss Grand Funk’s past, present and future. Stay tuned for this engaging interview! PT: Don, Thanks so much for granting us this interview. 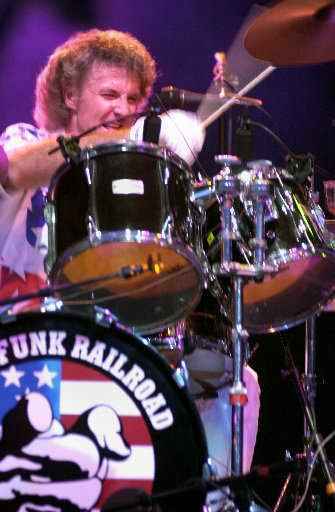 (Wayne) I’ve been a fan of Grand Funk Railroad for years. I was happy to introduce my wife to Grand Funk as she is quite a bit younger than myself. We are looking forward to seeing the show at Ridgefield. PT: (Stephanie) Have you played at Ridgefield before? GF: Yes, we have. I believe it’s our second time. It may even be our third time. It’s a fun place. It’s not too often we play in a smaller venue and people are right there in front of you. That’s pretty cool. PT: Tell us a little bit about your background. PT: How did he feel about your playing drums? GF: He was delighted. We bought a kit. We’d sit down in the basement and listen to records. And he’d show me how to play a kit. That’s really how I got into the drumming end of it. PT: Tell us about forming Grand Funk Railroad. GF: Grand Funk Railroad actually started in 1969 out of two or three different bands. I started a band in my basement called the Jazz Masters, then that later turned into Terry Knight and the Pack, and that eventually became Grand Funk Railroad. PT: We know you formed it with Terry Knight and Mel Schacher. How old were you? GF: I was around nineteen years old. But the first band I ever had was when I was thirteen years old. It was called The Red Devils (laughs). PT: Love the name Red Devils! 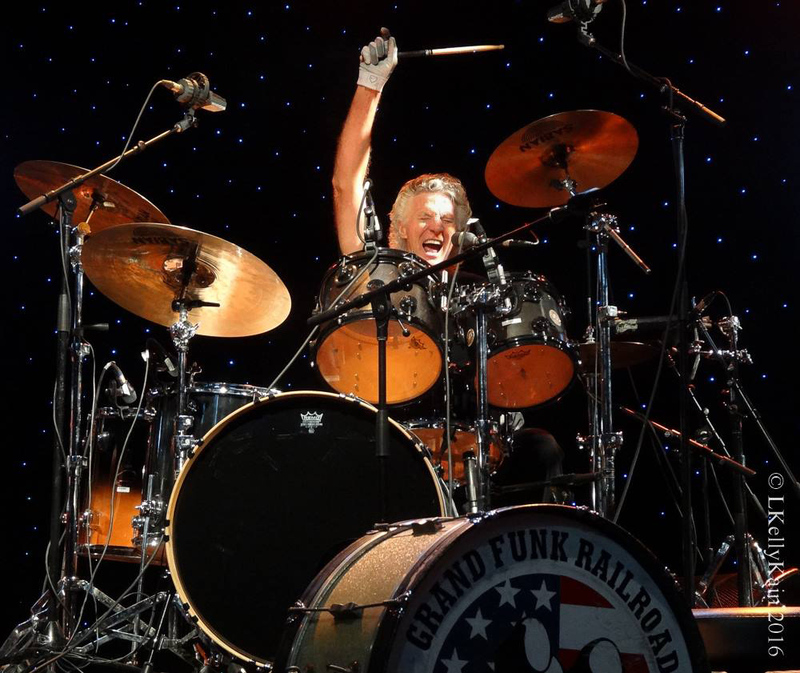 We know that Grand Funk was derived from the Grand Trunk Railroad which went through Flint, Michigan. GF: That’s correct. As kids we all sat at all the railroad crossings and watched the cars go by – Grand Trunk and Western Railroad, over and over and over. When we were looking to change our name from The Pack to something new and current – there was a new music term going around – funk. This was in the late 60s. 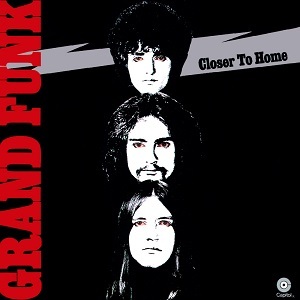 So we just did a play on words – Grand Trunk – Grand Funk. It was very descriptive of where we were from but it was also at that time kind of risqué. Nobody was using funk. When you were saying Grand Funk Railroad, of course everybody thought you were saying the other four letter word (laughs). And of course it got a lot of attention. It was a good play. 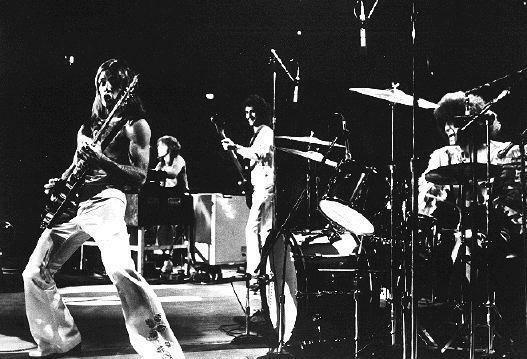 PT: What do you consider to have been Grand Funk’s big break? GF: Well, it was the Atlanta Pop Festival. I believe it was in 1970. We did the first Atlanta Pop Festival. We were totally unknown. We got a favor of a friend that was a favor to a friend of another friend. They said, “If you can get your band down here to The Atlanta Pop Festival in Byron, Georgia,” – we were up in Michigan – “we’ll put them on. We won’t pay them but we’ll put them on as kind of a fluke.” We were the opening act of The Atlanta Pop Festival. We walked on stage in front of all these people – eighty thousand people – and they never heard of Grand Funk Railroad. But by the end of the show they gave us a standing ovation and everybody was going crazy, “Who is this new band?” So they had us back the next day and then the next day. It was a three-day festival. 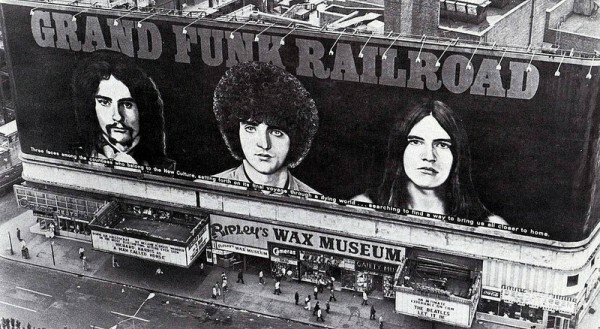 By the end of it everybody was talking about this new band – Grand Funk Railroad. That was really our lucky break. PT: Wow! That’s an incredible story! We know that “I’m Your Captain (Closer to Home)” was a big hit for you early on. And that had the underpinnings of the Vietnam War, too. GF: Well, I think people made it that way. I don’t think the song was written that way. Mark wrote the song in another vein for himself, but certainly it rang true in all of the hearts of the Vietnam vets. They couldn’t wait to get out of there and get home. We’ve talked to people who were on the ships when they were evacuating and getting out of Vietnam. They would get on the ship and they played the song over and over all the way home. PT: (Wayne) I remember it was a big hit as, of course was your number-one hit, “We’re an American Band.” Coming out of the 60s with the British Invasion, how hard or easy was it for Grand Funk to compete with the British bands? GF: The song really wasn’t directed at competing with the British Invasion. I was writing the song really as a reflection of what we were going through at the time. We were going through a huge lawsuit with our former manager and also we were fighting FM radio. FM underground radio was switching over to being more of a hit radio format. We needed to come up with hit records. We couldn’t do seven-minute songs like “Closer to Home” anymore. We needed to come up with three-minute hits. So I was writing the song trying to capture that – the spirit of what we needed to do to go in that direction. And I was able to put little snippets in of what was happening on the road with up all night with Freddie King playing poker, and the four young chiquitas in Omaha, and Sweet, Sweet Connie in Little Rock – incorporating all these things into what my vision of what a hit record was all about. I didn’t come up with the tag line until the very last thing. I was writing the song around “We’re coming to your town, we’ll help you party it down.” That’s what was going through my head. I thought that’s what we were doing; that was our job. And the last thing I got was “We’re an American Band.” It just sang well and sounded great. PT: Why do you think that song hit such a chord with people at the time? GF: I just think the song has a life of its own – from the cow bell to the guitar solo to the “ooh-oohs” at the end of it. It has kind of a thing about it. It takes you on a quick little three-minute trip – and away we go. I think the flag waving thing was kind of an afterthought. PT: Tell us about your band now. GF: Well, the band we currently have now is the original band – Mark, Don and Mel. As I said before, it came out of three other bands. Mark was in a band. I had a band called The Pack. Mel was in a band called Question Mark and the Mysterians. We put this band together out of that – those three combinations and it just took off. As we went into the seventies we needed to make changes. We added a fourth guy, Craig Frost, so we had a four-piece. We had a reunion in 1996 to 1998. Mark Farner left the band in 1998. And then we put together a new band in 2000 and we’ve been touring with this band with myself, Mel Schacher, Max Carl from 38 Special is singing lead for us, Bruce Kulick from Kiss is playing lead guitar, Tim Cashion from Robert Palmer’s band and Bob Seger is playing keyboards and singing back-up for us. We’ve been together for seventeen years. GF: Yeah, it’s been a terrific run. We’re having the best year we’ve had in the past twenty starting out with a cruise out of Fort Lauderdale over to the British Virgin Islands. It was one of the classic rock cruises with Peter Frampton, America, and Greg Allman. It was a fantastic cruise. And now we’re heading for about 43 shows that we’ve booked so far this year. So we’re having the best year yet. PT: What do you attribute the longevity of Grand Funk Railroad? GF: I think its honest rock and roll and it’s not being done anymore. I think you see all of the classic rock bands out touring because number one, they’re not getting the airplay they used to get and this is a way to keep them current. And number two, because the audiences love this music. None of this kind of music is being created anymore. I think whether it be old fans or new fans coming to see these bands, it’s just something that’s not out there. The only place to get it is to come see a Grand Funk show, or come see The Doobie Brothers, or Bob Seger, or Tom Petty, or whoever it is. That’s the music of this lifetime. PT: (Stephanie) I find it kind of interesting that Wayne’s son – he’s seventeen and a guitar player – when he started he was listening to different music but now he’s come around to classic rock. (Wayne) Thank goodness! GF: (Laughs) I just think it’s a once-in-a-lifetime time period that we went through – 60s, 70s and 80s – and the music is standing the test of time. Like you said, people are still picking up on it and that’s the music they’re listening to. PT: (Stephanie) I think what I love about it is that it’s so real and raw. So much of the music today is not. You don’t even know if anyone can sing anymore because it’s so altered electronically. GF: Absolutely. A lot of people ask me about the way things are recorded. When we were recording it was very simplistic. You did all you could beforehand and then you’d get into the studio and just try and capture what you did while on tape. And that’s really what it is. It wasn’t about how good the recording is. It was about capturing a song and a performance. And that was what the music was about. And now, it’s not about that anymore. 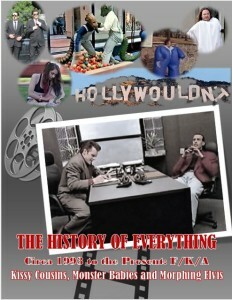 Now it’s about how it’s recorded, it’s about the digital sound of it, the pop culture value of it. It’s no longer about a song and a performance. PT: (Wayne) We’ve interviewed a number of artists who have had longevity in the business and there is a common thread. I think it was James Montgomery who was noting that Boston’s record of selling 17,000,000 vinyls and CDs will never be broken because the business just doesn’t work like that anymore. GF: Yes, exactly. I remember you would pick up an album and you would sit there and listen to the music and you would read all of the liner notes and look at the pictures. You’d really get into it. Now it’s just like a piece of candy or disposable good. Today you download it, listen to it, and then you’re done with it. That’s really all it is. PT: (Stephanie) I usually feel so much more connected to the older music – not that I don’t like some of the newer music and some of the things my kids listen to, but there was just something about that music. GF: Yes, I agree. Music back then was viewed completely differently than it is today. I’m an old-fashioned guy. Hey, I’d like to read the newspapers, but there aren’t newspapers anymore (laughs). 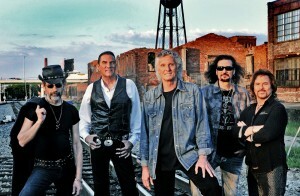 PT: What do you think has been the impact of social media on Grand Funk Railroad? GF: Well, we really haven’t gotten involved in it. We haven’t delved into the Twitter and Facebook stuff. We have a Facebook page but we had very little to do with it. It was actually created by the record company Universal over in Germany. We monitor it, but we don’t actively do anything with it or Twitter. 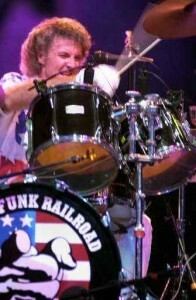 We have our website, www.GrandFunkRailroad.com, but we haven’t jumped off into that world. I don’t really have a feel for it. I see how it benefitted guys like Donald Trump (laughs). Maybe there’s something to it, but we haven’t gone there yet. PT: (Laughs) (Wayne) We never want to put people in a spot talking about political views, but that was great, Don! 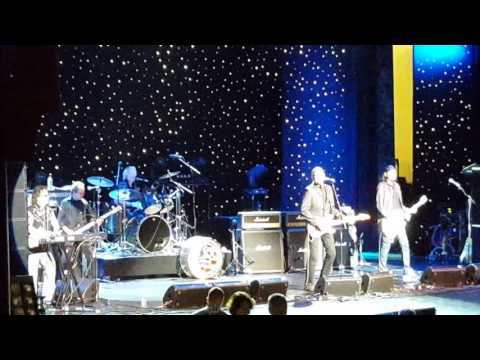 (Stephanie) We also know your opening act at the Ridgefield Playhouse, the Doug Wahlberg Band. We used their music for a play we did years ago. They have a similar mindset to Grand Funk. We think you’ll be very happy with them. PT: Obviously Grand Funk has evolved quite a bit over the years. We’ve seen a lot of established bands who have re-tooled. Have you re-tooled? And if so, how do you do it successfully and yet still keep the essence of the original band? GF: I think that’s exactly what we’ve done. 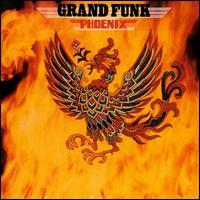 We’ve tried to keep the spirit of what Grand Funk is. 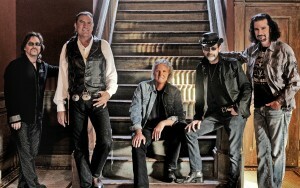 It’s a band that plays honest rock and roll music – a kind of celebration of those songs that we do – “Footstompin’ Music,” “Rock ‘N’ Roll Soul” – “I’m Your Captain (Closer to Home),” “The Loco-Motion,” “Some Kind of Wonderful,” “Inside Looking Out” – you know, the classic Grand Funk. We try to keep and present that spirit as it always was. We were always a high-energy live act. Our recordings to us were really kind of secondary. 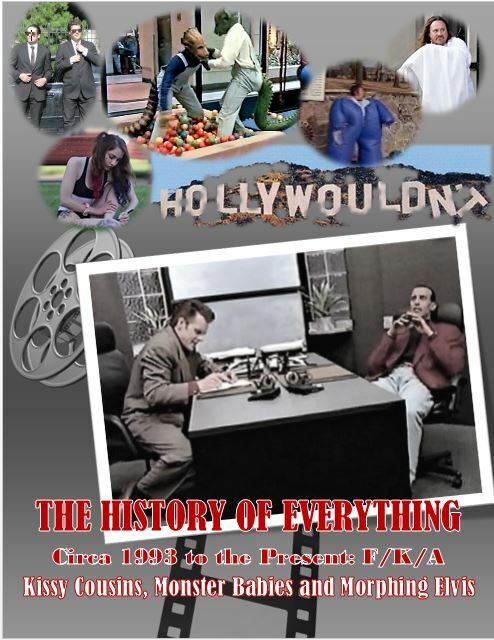 It was always about the live show and that’s what we do now. I think that’s one of the reasons why we are still touring as a live classic rock-and-roll band after twenty-something years of doing this – actually forty altogether. It’s a great presentation and great music and true to what we set out to do back in 1969. PT: (Stephanie) What advice would you give to young artists today? GF: Well, you can’t give up. That’s the number one thing. And you’re always going to have people telling you, “No, you can’t do it” and “You should give up and get a day job,” which is what my mother always told me (laughs). You really have to be thick-skinned and you have to pursue your dream and you have to make a lot of sacrifices. That’s really what it is. PT: (Wayne) We usually ask a question like this early on. Your father was a drummer and he really encouraged you. How about your mom? Was she supportive? GF: Completely. My mother was a former dancer. My mother and sister started a dance studio in the basement when I wasn’t down there playing the drums. When I put a band together my dad helped to build a trailer. And of course they were never chasing us out of there because we were making too much noise. They were very supportive of the whole process. That’s really what it takes. You have a lot of families that go, “Oh, my God, he’s making too much noise, get him out of the house” (laughs). PT: Who were your early influences? GF: Going way back, Buddy Rich, Gene Krupa, and all of the great drummers were my early influences. And then getting up into the rock age, it was Little Richard, Chuck Berry, Jerry Lee Lewis. And then of course The Beatles and The Stones and the British Invasion when that came in. I loved all of that stuff. 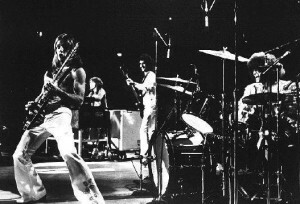 Grand Funk was kind of modeled after Cream, Hendrix, and Blue Cheer. All of the trios of the late sixties. We were going for that kind of a thing. Those bands were modeling their rock feel after blues and we were more of an R&B based band coming out of Detroit with our Motown influences. We took our R&B thing, pumped that up on steroids and turned that into rock. 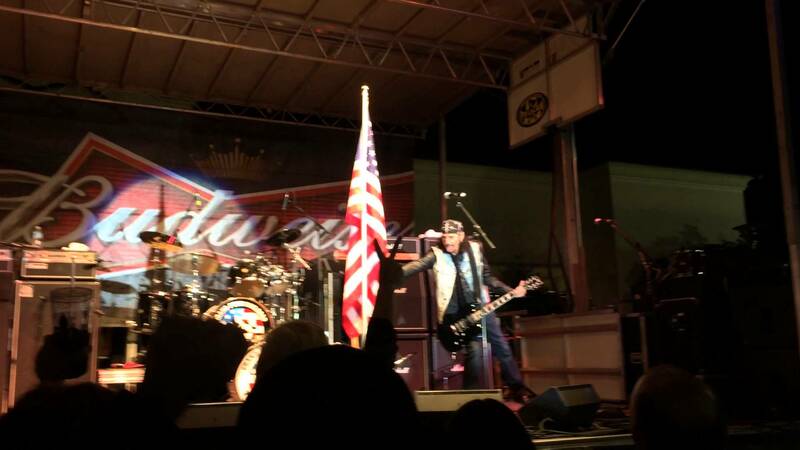 That’s what the unique blend of Grand Funk music is – R&B and Rock. PT: (Stephanie) If you hadn’t made it in music, what do you think you’d be doing today? GF: I’d probably be an accountant. GF: That’s what my mother wanted me to be (laughs). PT: (Wayne) Don, you don’t sound like a left side of the brain guy to me! GF: I know, I know. But I do take care of all of the business for the band. I am the go-to kind of manager. I’m the guy that’s on the phone doing all the work. I’m that guy. I’m the guy that was always the designated driver too on the way home. So there you go. PT: (Wayne) I’m more of a right-brain guy even though I’m a media attorney and handle a lot of business details. So I know where you’re coming from. GF: Somebody’s got to do it and somebody’s got to keep track of the stuff. A lot of times if you hire somebody they will end up ripping you off. PT: (Stephanie) That’s right. You hear a lot of horror stories about that. (Wayne) So what’s on your future agenda both personally and professionally? GF: Well, we just keep touring. Like I said, we’re having the best year we’ve had in the past twenty. We just keep going and going and going. My wife and I have a place in North Carolina. And we’re there now in the summer. And then we go back to Florida in the winter. My kids and grandkids are down in Florida. That’s what we’re doing. We just had a visit from the grandkids up here. We had a wonderful time for the past week with them. That’s our new thing – grandkids (laughs). PT: (Laughs) What do your kids and grandkids think of the music? GF: My two grandkids just came to see us when we played Miami Beach on the Fourth of July. That was just a phenomenal experience having them off to the side of the stage. I brought one of them out to get the flag. 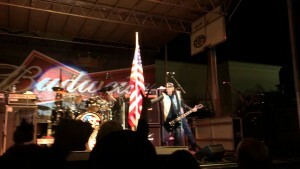 We do a presentation of the “Star-Spangled Banner” in the middle of the show. I come out to get the flag and I brought my grandson with me. PT: Do you grandkids go, “Wow, my granddad is a big star!”? GF: I don’t think they can relate to it. They are only four-and-a-half and two-and-a-half. But they certainly got excited seeing Grandpa up on the stage and watching the audience react. I think they had a ball. So, we always ask a last signature question of everyone. If you could sum up your life to date in one word what would it be? PT: Cool. That is cool. Perfect! Thank you for a really great interview! We look forward to seeing you in concert.